Following the crippling Hurricane Matthew on October 2016, Black Lives Matter(BLM) Cambridge partnered with a number of Haitian organizations (Vertiver, Kouraj, and Kolectif Kay Kok- Sakage) to send aids to a number of grassroots associations. BLM has extended long term support by supplying resources to repair damaged homes, install solar posts, and provide water purifiers and donated specific items like LED lamps, solar panels, water filters, etc for as many communities as possible. Black Lives Matter is a chapter-based national organization in the United states that is working for the validity of Black life. It is a call to action and a response to the virulent anti-Black racism that permeates the United States of America. It was was created in 2012 after 17-year old Trayvon Martin's murderer, George Zimmerman, was acquitted for his crime. In 2016, Haiti's public debt at $ 2,771 million reached 33.5% of Haitian GDP and that translates to $255 per individual citizen. As per recent reports (dated May 27, 2017), the national and international debt of the Republic of Haiti hovers around US$3 billion out of which $1 billion represents internal debt and $2 billion of external one. An 'External Debt' (or foreign debt) is the total debt of a country due to the foreign creditors while an 'Internal Debt' (or domestic debt) is the part of the total government debt in a country that is owed to lenders within the country. If we compare this debt amount with other neighboring Caribbean countries, we might understand the relative soundness and solvency of the Haitian economy. Is it worth it to apply for the 6 month extension of TPS for Haitians? On May 22, 2017, the U.S. Department of Homeland Security announced a 6 month extension of Temporary Protected Status (TPS) for some 58,700 Haitian immigrants who have been living in the United States since the 2010 earthquake. To re-register, you must submit Form I-821, Application for Temporary Protected Status. You must also submit Form I-765, Application for Employment Authorization, whether you are requesting employment authorization or not. As a re-registrant, you do not pay the Form I-821 application fee, but if you are age 14 or older, you must submit the biometric services fee. The fee for biometric services is around $85. On Tuesday and Wednesday and Ednesday of this week, the place to be was at the Royal Decameron Indigo Beach Resort & Spa in Haiti where social entrepreneurs, influencers and startup innovators kicked off a two-day technology summit. The Haiti Tech Summit brought into the country over 100 speakers representing Google, Facebook, Uber and Airbnb. The summit will cover topics such as how to launch a startup, the importance of smart cities and branding, hoping to transform Haiti into a hub of innovation. The sold-out event at the Royal Decameron Indigo Beach Resort & Spa had more than 450 attendees. The scammers posing as U.S. Embassy employees contacted the people applying for the US Visa in Haiti and their family in the United States. United States Government recently Issued Warning to Persons Wishing To Visit Haiti, at the same time is taking the position that the country is stable. On the one hand, U.S Department of State warning (dated May 22, 2017), all American citizens must carefully consider the risks of traveling to Haiti due to the country's current security environment and lack of adequate medical facilities. On the one hand, after granting an extension of six months, the U.S Department of Homeland Security (DHS) is now ready to repatriate more than 58,000 Haitian immigrants by January 22, 2018, because the DHS senior officials consider the present law and order situation in Haiti is "relatively stable". US Homeland Security Secretary John Kelly wanted to deliver the message to Haitian President Jovenel Moïse personally. In his recent trip to Haiti, he told the Haitian on Wednesday to start thinking about how to bring to Haiti close to 60,000 Haitians who are currently holding TPS. He told Jovenel Moïse and some senior officials of the Haitian government to get travel or identification document for these people ready. Kerry took the opportunity to educate the Haitians that TPS is not permanent. Haitians on TPS, Kelly said, "need to start thinking about returning." Just one week after extending TPS to Haitians for just 6 more months, US Homeland Security Secretary John Kelly has decided to visit Haiti to evaluate the situation in the country for himself. 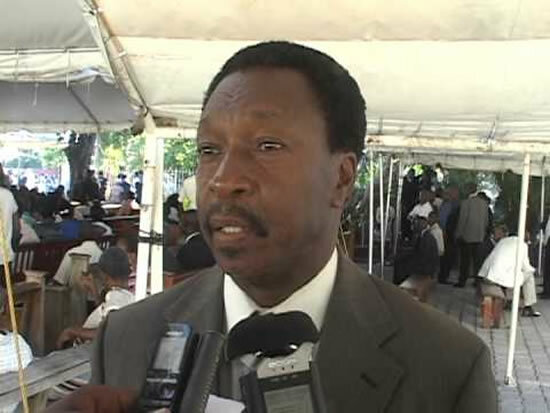 Former Haitian Senator, Coordinator of the "Mouvement Patriotique Populaire Dessalinien" (MOPOD), Turneb Delpé is dead. The Haitian politician passed away on Saturday, May 27 in a hosapital in New York after a long period of illness. Turneb Delpé gained his popularity during the period when he was promoting of the "National Reconciliation". However he was always present as a militant for democracy in Haiti. He was at one point a member of the Communist Party of Haiti (PCH). Turneb Delpé who spent his entire life fighting for a "National Reconciliation", unfortunately did not see his dream fulfilled. FLASH - TPS pou Ayisyen pwolonje pou 6 Mwa. 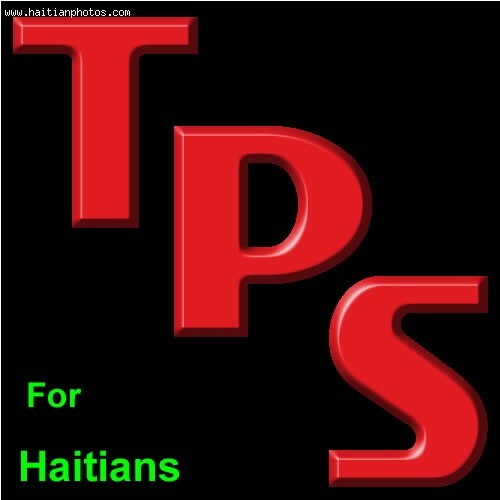 Breaking News - TPS for Haitians extended for 6 more Months. Haitians in the United States who have been able to remain legal as a result of the Temporary Protected Status for Haitians (TPS) will be able to remain legal in the country for another six (6) months. This is what Wilson learned from the Government and immediately reported to Miami Herald. It is official. Wilson informed Miami Herald that the decision was just made public, this Monday (5/22/17) by The Department of Homeland Security.